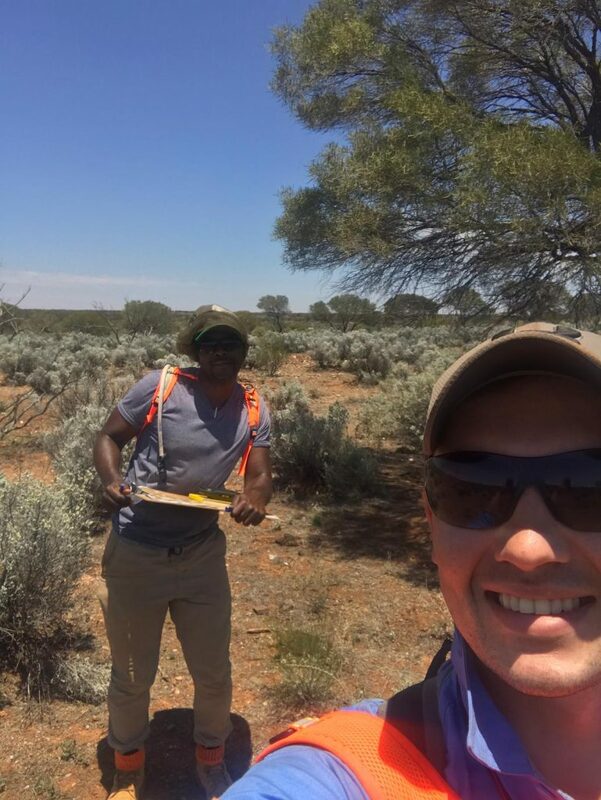 Geologists David (foreground) and Paul (who strikes a pose) indulge in a Selfie whilst Field Mapping and Rock Chipping at our Hades Prospect approximately 8km Northwest of Apollo Hill. Paul’s bag is no doubt weighed down with samples which accounts for his slanted deportment. Hurry back to the laboratory Paul and take a weight off.